Here’s an up-close look at some of the components going into the anthrolume project. The star of the anthrolume show has to be these bitchin’ smart LEDs. On one side there’s a surface-mount RGB LED good for up to 6,000 mcd of brightness. They are 0.49″ square. The “smart” part about MinMs is that on the other side of the PCB is a tiny Atmel ATtiny45 microcontroller. That’s right, each LED has its own computer. And there’s direct support for a simple kind of serial network, called I2C, that allows multiple MinM LEDs on an I2C network to be individually addressed. The firmware on the LED’s computer understands a very simple binary language. A handy aspect of this is that you can just tell the LED what color to be (with a simple command), and it will stay that color, which dramatically simplifies the circuitry necessary for a project like the anthrolume. Naturally such a sophisticated display device comes at a price – more than $10 USD each in small quantities. So these LEDs are by far the largest part of the cost of the anthrolume project. My current plans call for the use of an Arduino Uno microcontroller for this project. The Arduino line of microcontrollers have become very popular worldwide, and are built-in to quite a few art installations. They are inexpensive, easy to interface, and are quite powerful. The board is based on an Atmel ATmega328 microprocessor. It has a USB computer interface for programming and debugging, a and bunch of digital and analog I/O. They are typically programmed with a C-like language that makes doing I/O very simple. The board has built-in support for I2C networking, which can directly talk to the MinM LEDs descibed above. There’s a solid open-source community around these controllers, and a lot of software libraries, sensors, and compatible hardware and software are out there for the use of hobbyists and artists. The I2C network is four-wire – power, ground, data, and clock. The network itself is wired in parallel, like a buss. Whatever I build needs to be able to withstand an active wearer. Segments should be easily field-replaceable. LEDs need to be removable, because each one has a specific address, and that address has to be programmed into the LED when it is off the buss. The aesthetics of the harness itself are a secondary concern. 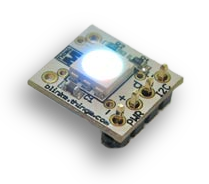 The little MinM LEDs are 0.49″ square, and are set up for a standard 4-pin 2.54 mm header. 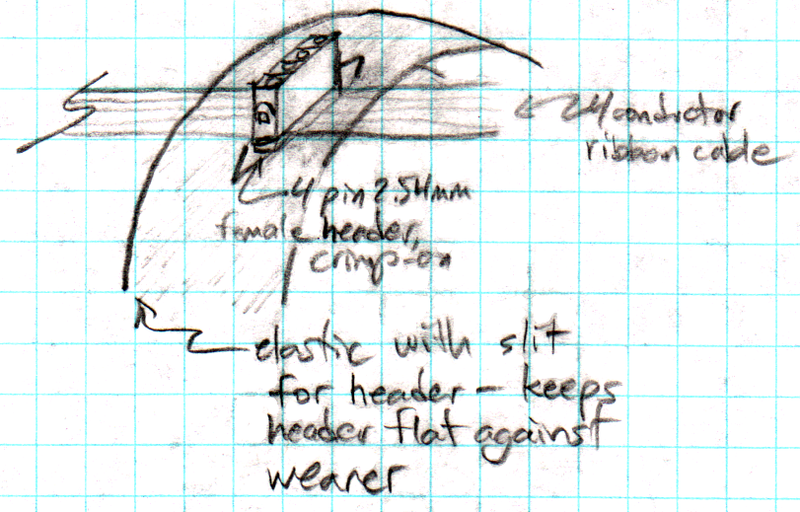 My plan is to solder four-pin 2.54 mm headers right into the MinMs, then use crimp connectors on a ribbon cable to put the MinMs on the buss. That way I can easily replace a dead LED, or reprogram an LED easily. The strap idea is still pretty sketchy. I need to hold the headers perpendicular to the wearer’s skin, and the design above seems to do that. Putting the thing on will still be a chore. But hey, it’s art. Art often requires sacrifice. 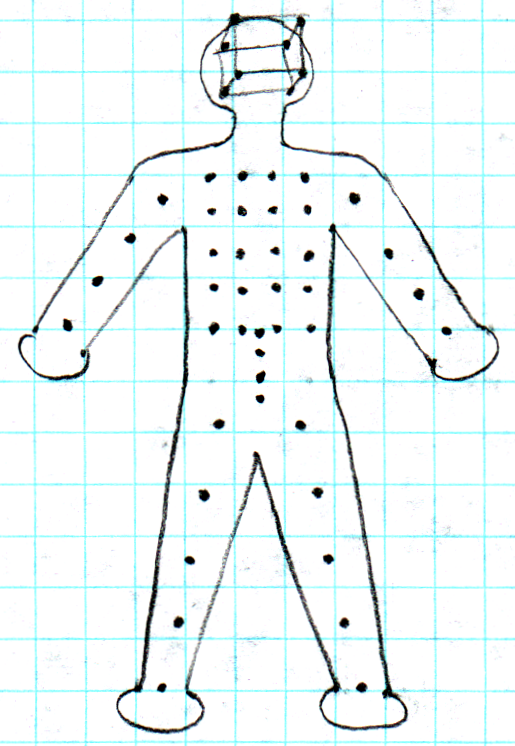 Update: This post represents the project plan for Anthrolume 1.0, which debuted at Burning Man 2011. I’ve since been creating subsequent artifacts. See the recent posts for details on the progress of the second-, third-, and now forth-generation projects. I’m Bryan, and I’ll be using this blog to describe an art project called “anthrolume” on which I’ve recently embarked. In this first post I’ll describe the basic idea of what I’m creating, and the progress thus far. Project Anthrolume is an experiment in wearable electronic art. It will consist of an array of computer-controlled color LEDs distributed over the body of the wearer. The wearer will be able to trigger various configurations and animations of light on his body, and will be able to use both internal and external stimulus to make the emitted patterns reflect his mood or the environment around him. The project is cross-disciplinary. While it is an expression in visual art, it requires some electrical and software engineering. At right is the planned distribution of the LEDs on the front of the wearer. By lighting up head, arms, legs, spine and middle column of LEDs in the middle, I can create a rudimentary stick figure that should be discernable over great distances. Also the 4×5 grid of LEDs in the middle provides a flexible area for display of patterns, including possibly scrolling text. For user control, the current plan is to use fingertips-shorting-to-thumb. That is, each hand would be able to provide four bits of input, allowing 256 messages to be sent to the microcontroller. 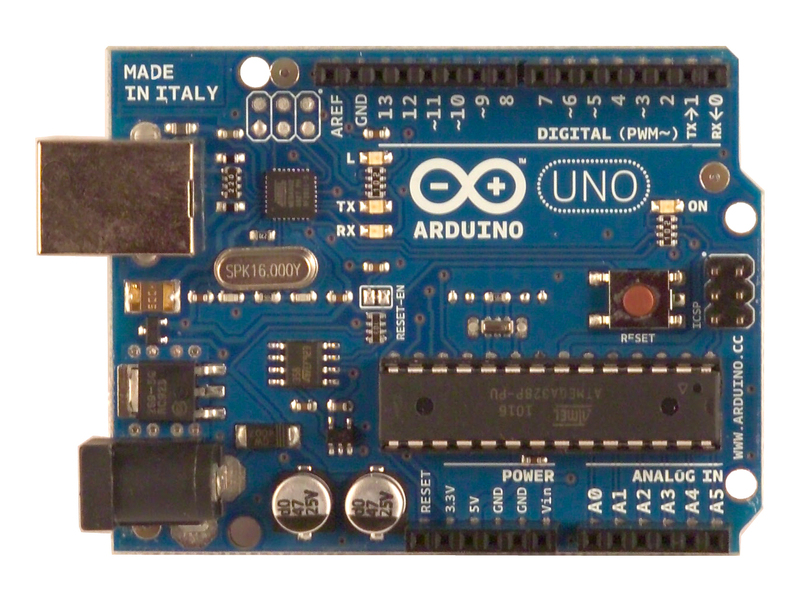 I’m expecting the first of the hardware to arrive this week – an Arduino Uno and five of the smart LEDs. This will allow me to create a tiny network and test how fast I can control the LEDs.